Think about mythical Latin American countries and Mexico, instantly evokes the thoughts of prehispanic cultures, adventure, revolution, exoticism and joyful and colorful festivals. Mexico contains a number of dream- vacation destination that are perfect thanks to numerous sandy beaches and crystal clear water. To better enjoy your stay in Mexico, it is advisable to go on a trip to Mexico, where you will discover all the pleasures of a getaway in a sunny country! Cancun is the top destination for singles looking for adventure and fun in Mexico. The overall quality of the hotels and beaches of this city make it one of the most popular places in the country. The beaches are a delight to the eyes with white sand and coconut trees in abundance. Others may be a little less charming because of some rocks and shells that are located there. As a party destination, Cancun bars are famous, top on the list for lovers of alcoholic beverages. The impressive scenery with a cinematic air is also breathtaking. Lively and fun, Cancun is the ideal destination for young singles. The atmosphere of the The center in other cities is quieter and more relaxing compared to Cancun. Although the distance of the hotel to the town center sometimes makes travel difficult, the real asset of the Mayan Riviera is the Xcaret Park. This is a huge eco-tourist park that offers more than forty activities related to nature and Mayan culture. 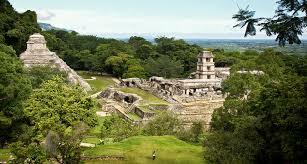 This site, founded by Mayan descendants, is located around Mayan ruins that date back thousands of years. You can swim with dolphins, snorkel amid coral reefs or explore the underground rivers: these are the most popular activities of the Riviera Maya. This is a family friendly destination. For an idyllic stay, consider the Oasis Cancun, a luxury hotel that especially for young adult partiers. The pristine white sand, complete with the accompanying turquoise blue water is just gorgeous. Located in the city center, guests enjoy entertainment on top. But for those who want to relax, this is not the place. In the Riviera Maya, Riu Tequila is impeccable. This property is well located and offers pleasant public areas. Located just a seven minute walk away from the beach, shuttles are available to customers. It is also famous for its gastronomy and proudly displays its five stars. Swimming with Whale Sharks! !Where to settle in Mexico?